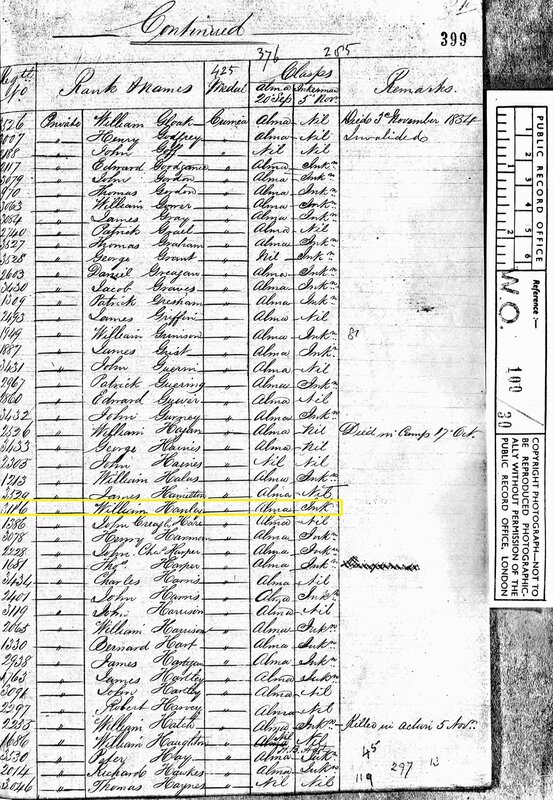 Birth date and place 8 Aug 1836 Borrisoleigh, Tipperary, Ireland. Physical Description Height: 5 ft. 5¼ Ins. Complexion: sallow. Eyes: gray. Hair: light brown. Bicentennial Dictionary p. 1346 [Erickson]. Richard, Ireland or England. Patrick 1866, Fremantle, Western Australia. Death date and place 28 Aug 1886 Adelaide, South Australia (tentative). Burial date and place 30 Aug 1886 Catholic Cemetery, West Terrace, Adelaide, South Australia (tentative). Death Notices and Obituaries Adelaide Evening Journal 30 Aug 1886 (tentative). Adelaide Express & Telegraph 30 Aug 1886 (tentative). Regiment No. and Rank #3116 Private. 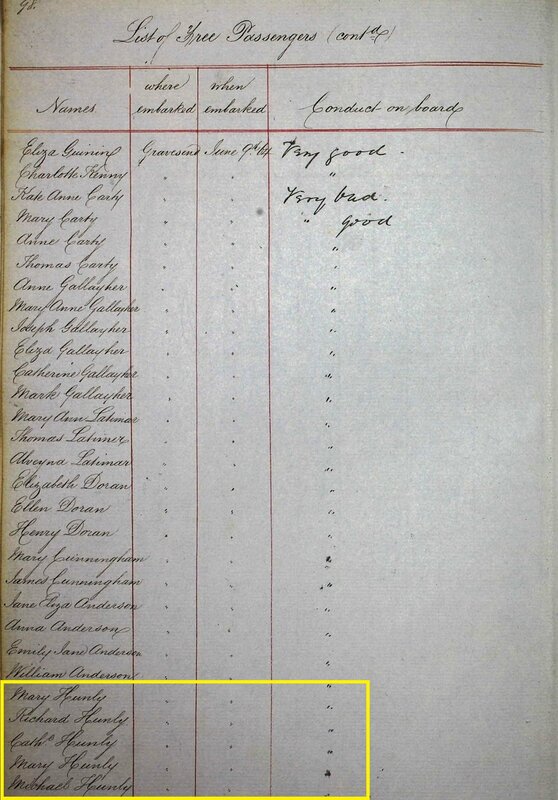 Attestation date and place 9 Feb 1854 Templemore, Tipperary. Service/Campaigns Turkey & Crimea 2 years (from 24 May 1854). Promotions Private to Corporal 24 Jan 1856. Casualty/Medical Casualty Roll: Slight Wound. Minor actions at Sebastopol. 04 August 1855. The use of the left leg is so impaired, from the effect of a sloughing ? of a scrophulous nature for which he has been under treatment since July 29th as to render him unfit for military duty. He received a severe wound in the other portion of the same thigh from a portion of a shell when on duty in the trenches August 4th 55. Unfit for further service having received flesh lacterated shell wound of the left thigh and having ?-? open into left groin. 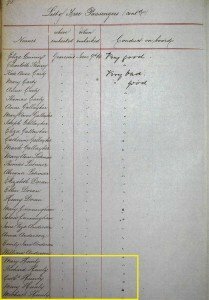 Discharge date and place 27 Jan 1857 Chatham. Length of Service 2 years 173 days. South Australia 1867 to Mar 1879 [WO22-227, 252/3]. Pension Amount 6d. per diem. Misc. Newspaper Articles Perth Gazette 7 Dec 1886. 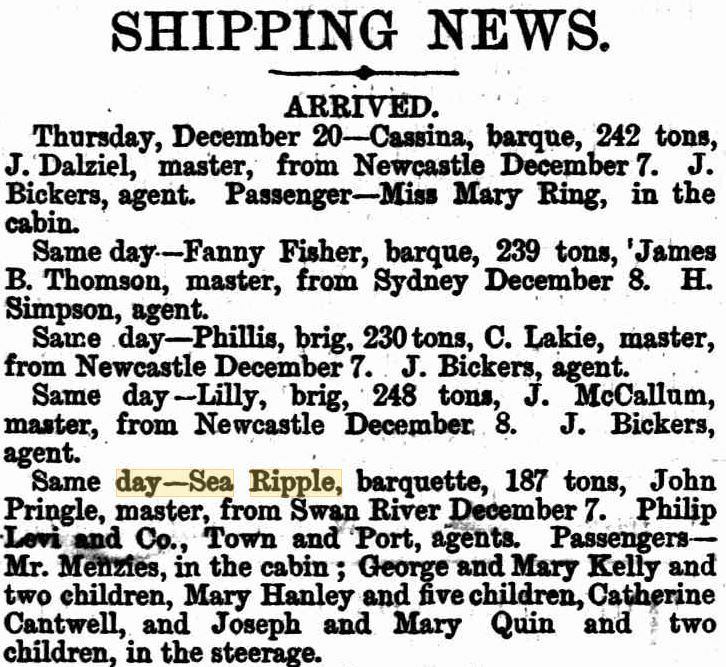 Adelaide Express & Telegraph 21 Dec 1866 (see sidebar). Departure from WA Sea Ripple. Dep. 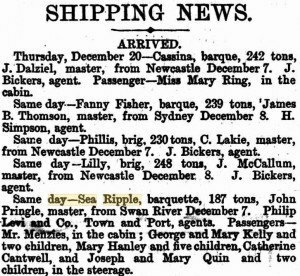 6 Dec 1866 Fremantle; arr. 20 Dec 1866 Adelaide. 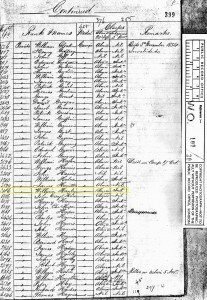 Note: Wife Mary Hanley and five children only recorded in newspapers.